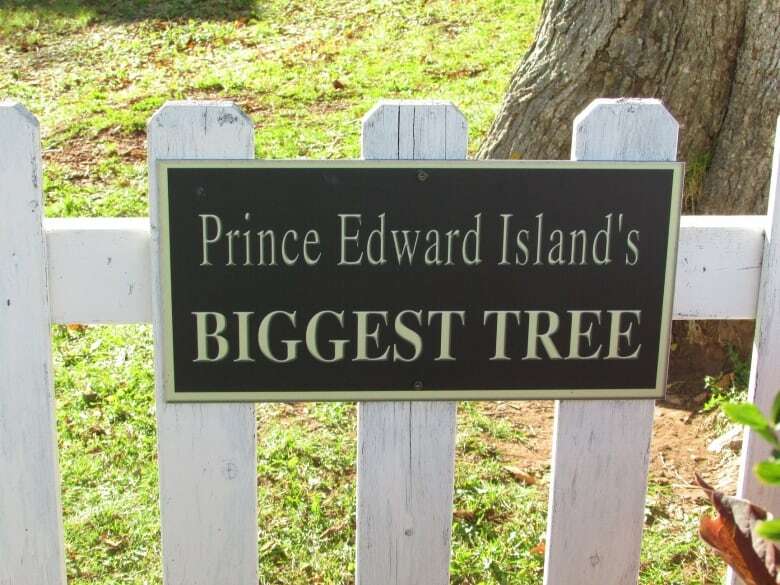 The tree known as the biggest on Prince Edward Island has been diagnosed with Dutch elm disease and will be cut down over the next few days. 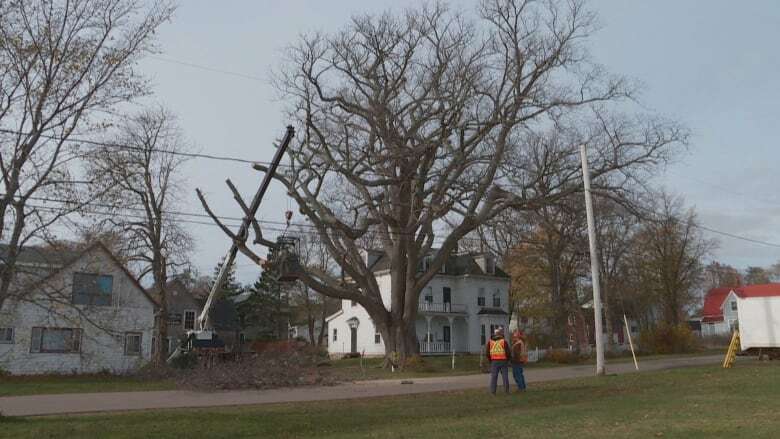 An American elm known as the biggest tree on Prince Edward Island is coming down. 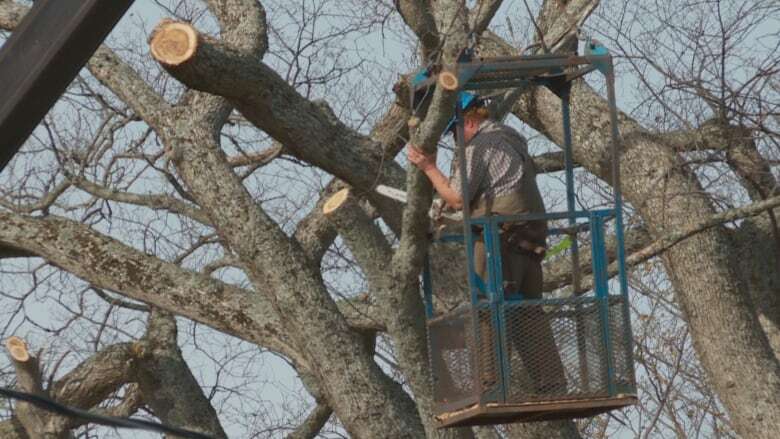 On Monday, crews began the work of taking down the tree, located in the village of Victoria-by-the-Sea, P.E.I. It's a sad event for the community and visitors who have fond memories of the historic tree — and some with special memories stopped by to say a final goodbye. "I lived here for 25 years, so a lot of people have come and gone, and that tree has been here the whole time, and it's hard to see her go," said Ian Robertson. "You're coming across the causeway and the landmark, it's there, in all her glory ... and just to go underneath it and look up and, it's just been an old friend for many many years." The tree is on private property but had become a focal point for the community. When its caretaker noticed the tree's health was not what it once was, they called in a provincial horticulturalist. 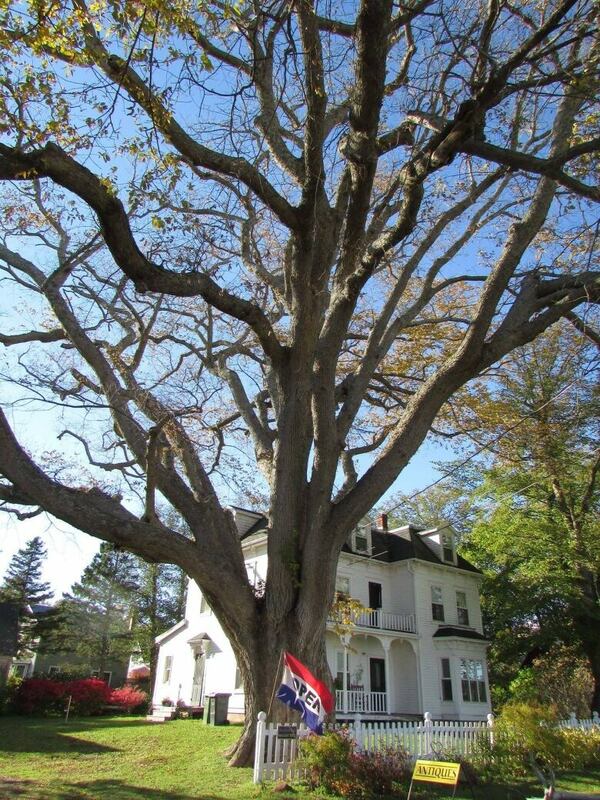 The elm tree was diagnosed with Dutch elm disease and would need to be torn down. "People come from all around to take lots and lots of pictures," said Victoria-by-the-Sea CAO Hilary Price. "We have informed our residents, who are obviously very very upset and disappointed. But no, we don't have a choice because Dutch elm is, you know it can spread." Price said they are unsure how old it actually is, but there are plans to count the rings once the tree is down. She was unsure if another tree would be planted in its place, as it is located on private land, but said the village is committed to planting more trees in general. "I know a lot of people have been going over there and taking their last photographs," said Price. "We are upset, and it will leave quite a hole over there. It's going to be very, very different." Emily Blake — another Islander who made the trip to see the historic tree coming down — says she needed to see it one last time. "It's honestly the most beautiful tree ever, and the canopy was just so big and so broad," Blake said. "And the colour of the leaves during the summer were so green and everything. And the trunk itself, like you can't fit four people hand by hand stretching their arms around it. It's just so big and magnificent." Workers expect it will take a couple days to remove the massive tree. Price said the cost of the tree removal will be paid for by the provincial government as its branches are over the roadway. "It's hard to watch," said Robertson, who had traveled to Victoria-by-the-Sea to say goodbye to the tree. "I like to think that the roots underneath it are just holding this village up and this tree will continue living even though its big pieces are coming down."